Your search for best WordPress Hosting ends here because I have updated the list of the top WordPress hosting providers. 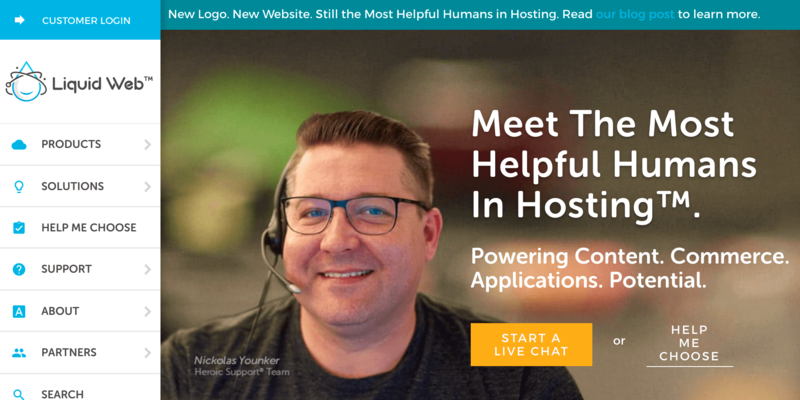 These WordPress hostings are tested and I recommend them personally. Why I need a special hosting to run a WordPress site? Choosing the best WordPress hosting can ensure that your website is in safe hand and Providing everything you need to run a successful Brand, Blog or Online Business. A Best WordPress hosting is faster, secure, and reliable for online marketers. There are many different types of WordPress hosting options are present like shared, managed/unmanaged WordPress Hosting, VPS/dedicated, etc. If You are confused which web hosting will work best, then here is the illustrated guide about different types of web hosting. The different hosting company has different pricing plans and features. Our team has looked at the top WordPress hosting providers in the industry and compared their plans, pricing, features, and customer services. This ultimate guide will help you to find out which companies offer the best WordPress hosting for Beginners. This guide will also help you to find the best hosting that doesn’t fall heavy on the pocket and also Works as a PRO hosting at an affordable price. There is a vast collection of plugins that add specific functionality to a WordPress site. You can install it freely forever on the web server and get online within a few minutes. It is growing very rapidly due to its simplicity, flexibility and offers a comprehensive catalog of free and premium products (Plugins and themes). By Using WordPress, you can create almost any type of website such Personal Blog, Magazine style or viral blog, Shopping store, eCommerce site, News sites and much more. In a nutshell, there is a lot of possibilities which can be done using WordPress. 1. What is WordPress Hosting? How to Choose the Right WordPress Hosting? WordPress web hosting is the type of web hosting that has been optimized by adding extra add-on/Installer/Plugins for the specific needs of the WordPress software. However, WordPress can be run on any host, WordPress hosting is designed to run it better by adding extra functionalities. Shared WordPress hosting includes WordPress-specific optimizations as well as some basic features like one-click installs, whereas Managed WordPress hosting includes more great features and management that make your life easier (more on that later). At a minimum cost, you’re getting that performance optimization I mentioned above. And that’s important enough by itself. Hosting provider will also optimize your server’s settings to ensure better security for your WordPress site. Pre-installed WordPress or one-click WordPress installs. Installing WordPress is a cinch on WordPress specific hosting. Automatic updates for WordPress plugins and software. Keeping your site up-to-date is essential for protecting your site against hackers. Easy plan upgrades. Most WordPress hosts make it easy to upgrade your hosting plan as your WordPress site grows. And if you go with managed WordPress hosting, you will get tons of concierge services. Support staff who are knowledgeable about WordPress. You can be sure that your host’s support staff know all about WordPress related solutions. As I mentioned, most shared WordPress hosting gave you some performance and security enhancements with a one-click installer and called it a day. Some might also automatically update your WordPress Site as per your needs. On the other hand, managed WordPress hosting handles pretty much everything for you. They’ll upgrade your site automatically and give you, even more, better performance than shared hosting with something called server-side caching. They’ll also run malware scans and check for brute force attacks. And they’ll back up your site so that if something does happen, you always have a working copy of your site. And most managed hosts will even give you something called a staging site. With a staging site, you can test out changes to your WordPress site before you make them live on the web. It’s like your own little sandbox. Shared WordPress hosting is like a clean three-star hotel, while Managed WordPress hosting is a five-star resort. With shared WordPress hosting, you still need to handle most of Hosting related things (Making a backup, Updating Software, etc.) yourself, but with managed WordPress hosting, you can pretty much 100% focus on Your content and ignore hosting. Tip:For More Information about Web hosting. Take a look at the recent article about different types of web hosting. Here We have taken an example of offline business as an online one. Who wants to visit a closed restaurant (started by you) who remains closed at the time when they are hungry? No-one, right? So, the real question is how much would it cost your business if your site went down for one day/two days or more? It is simply one of the most essential element while choosing a web hosting. Do Your research and pick a host that doesn’t have dozens of downtime complaints. Your restaurant has a variety of delicious foods for your customer, but somehow robbers have stolen all the foods and ruined your restaurant with their weapon(ruined the site with Malware/brute force attacks). Who Will help you to get your restaurant(blog/site) the same as it was before one day ago? It will be almost impossible to get the same but when you have security and backups enabled, no need to be worry. Just serve the food to your customers (post guides/post for your readers). So, make sure you have automated backups enabled for your website with MySQL database. Just about everyone that builds or maintains a website/blog gets burned by this at least once before they learn from it (It makes it even easier if you just have to click a button to restore your site to an earlier version of backup). There are Two reasons why your web hosting speed matters: SEO and UX(User experience design). I believe they are equally important factors. Faster hosting = higher rankings + more interaction on the site. User experience design (UX, UXD, UED or XD) is the process of enhancing user satisfaction with a product by improving the usability, accessibility, and pleasure provided in the interaction with the product or services. Simply, UX is how your site attracts your readers with a fast clean, and minimal design and Google rank a site higher who have faster speed. However, Speed is almost remained the same on shared hosting but managed web hosting provides faster speed compared to shared. This is straight-up overrated. In no scenario, very few situations it useful or in your best interest to host multiple websites on the same hosting account. Databases get big/slow, and down the road, and you will wish you had set them up on individual accounts with sufficient amount of resources to handle the site load. If you haven’t already noticed, I am trying to save you the trouble of making every single mistake I have done with hosting in my blogging journey. Multiple domains hosting is good if You are testing a theme/design/plugin or something you can’t do with your managed hosting. No matter if any hosting provider provides you multiple domain hosting, Use only one site per plan. Because you will be confused with a lot of same directory and more. Tip:Use separate hosting or plan or better to buy a VPS to host multiple domains. Just like the above option, this is usually very overrated and a sales technique of big-box hosting providers. You do not need unlimited storage space on your web server; even it is not enabled only for you. I repeat: YOU DO NOT NEED UNLIMITED STORAGE ON YOUR WEB SERVER. Does it make sense that everyone gets unlimited storage space and everyone pays the same amount? Nope. It gets abused by others, and you may very well be the one that suffers because of it. Tip:Check VPS plans of any hosting, the storage will be 5gb-100gb+ or more with a higher price, then how it will be unlimited on shared hosting? Be Safe and keep an eye on CPU and Storage if you are using shared hosting. This is such a tough but important one because you never really know what the tech support is going to be like until you sign-up with a WordPress hosting company and you can’t always take customer complaints at face value (this is because people complain even if they are the ones to blame ?). If you plan on selling products, run eCommerce site or services on your website or just want to establish more trust with your users, it makes things much easier on you if you have implemented an SSL certificate on your website. It is a pretty complicated process if you have not done it before. Some WordPress hosts make this much easier than others. Note:SSL is now a ranking factor according to the Google Blog. Here is the list of top 3 Best Shared WordPress Hosting available in 2017. *Mentioned price is applicable only if bought yearly or more of their basic plan. Click on the selected provider to get more pricing. SiteGround is honored to be officially recommended by WordPress.org as one of the best and brightest WordPress hosting providers. 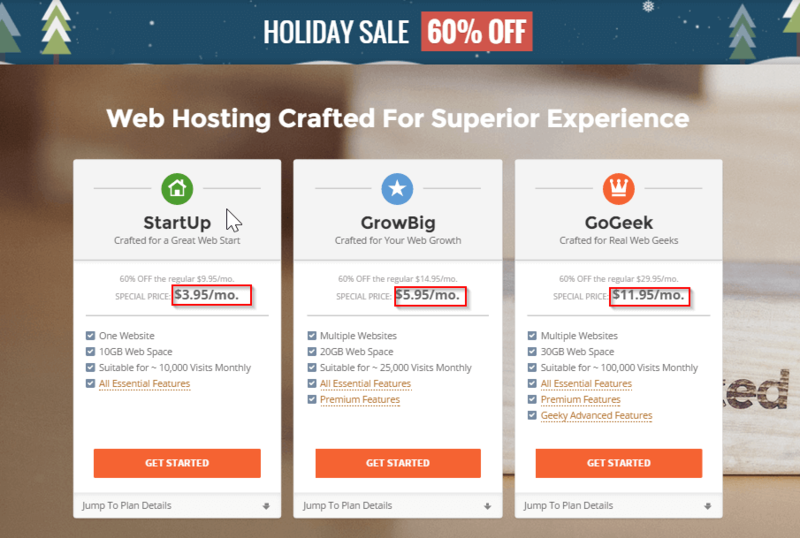 If you want to go with the cheapest plan, SiteGround doesn’t cost any more than the other shared hosts and offers more than the competitors. Siteground provides free WordPress transfer, or free new site setup assistance adds +1 point. Their hosting platform is high when it comes to for WordPress optimized servers, plus they offer managed WordPress hosting at price points, and you won’t find a cheaper managed host of the same quality anywhere else. Siteground optimized servers will never let your site down for a second and offers 99.9% uptime and offer a 30 Days money back Guarantee for their shared plans. SiteGround’s cheapest plan starts from $3.95 per month ($9.95 after promo applied). 1-Click Installer. Launch your website with a click. Auto updates. Always have the latest WordPress version. SuperCacher. 3 levels of caching for an ultra-fast site. WP-CLI Enabled. Command line management option. WordPress Staging. Quickly test and deploy changes. Git Pre-Installed. Interface for Git repo creation. Support. Offers 24/7 support (Best Support Team ever). When it comes to the brand image, Bluehost ranks among the best powering over 2 million websites worldwide/ Bluehost offers the ultimate WordPress platform and provides WordPress-centric dashboards and tools along with 1-click installation, a FREE domain name, email, FTP account, and more. Easily scalable and backed by legendary 24/7 support by in-house WordPress experts. Bluehost is one of the most popular and best WordPress hosting. Their Prices Starting at $3.95/month* (if bought for 3years), comes with a free domain name plus site migration for new accounts on yearly plans. Bluehost had great uptime at 99.97% which means the site was up and running most of the time. Bluehost Introduced Cloud Sites which is best if you want a super fast hosting at affordable pricing. Cloud Hosting is faster than shared hosting. #1 recommended web hosting by WordPress.org. Credits over $150 in advertising offers from Google, Bing, and other leading sites to help grow your business. Enhanced cPanel. The standard cPanel dashboard makes it easier to use. Offers Unique IPs, SSL certificates, domain privacy, sidelock, site backup pro, spam protection atan additional price. Money-Back Guarantee. Get a refund within 30 days of signing up. Your dream of creating a website may come true by choosing DreamHost. DreamHost is currently empowering over 1.5 million websites, blogs, and apps on their platform for last 18 years. With 100% uptime, 24/7 instant support, and stability make it the best WordPress hosting provider for creating your WordPress powered website. For support, they did not offer customer support on the phone and are available on Live Chat, email and Twitter 24/7/365. They are the Best Customer services 2016 award winner. Their plan starting with $7.95 per month that Supports multiple WordPress sites and domains and offers a 97 Day money back guarantee. Ceph storage. The powerful open source software, created in the DreamHost labs, helping power their cloud services. Hostgator is another award-winning shared, and cloud web hosting service founded in 2002 by Brent Oxley. Hostgator is a big name when we talk about web hosting. Hostgator is best for small to average traffic websites and blogs. They offer a wide variety of hosting plans including Shared/Web, Cloud, WordPress, Reseller, VPS and Dedicated. The first edge they got is the pricing which is really appreciative if we compared it with the quality. HostGator’s Cloud Hosting option has some of the best uptime, and speed money can buy. Hostgator Cloud Hosting touts their 100% uptime. Uptime. 99.99% Uptime on shared Plan. InMotion Hosting is a CNET top rated hosting due to their best business practices, secure site transactions, outstanding performance and 100% customers satisfaction. BBB (Better Business Bureau) rated them the A+ rating. InMotion Hosting is an affordable shared host that includes their BoldGrid website builder system with all of their hosting packages. Warning:If You get brute force attacks on your site, I will not recommend using shared plans from Inmotionhosting. Go with Best Cloud Hosting or Best Managed Hosting. Pre-installed WordPress. Get Online in Minutes. Solid-state hard drives. SSD means 300% better performance than HDD. iPage is the cheapest and most affordable hosting provider in the world for creating your site on the lowest budget. iPage offers many services such as free SiteLock security, Site Analytics, Free YP (Yellow Page) listening, Daily Spam and Malware scanning, Constant malware scanning and up to $200 FREE credits for internet marketing. You can quickly register your desired web address name on iPage if it is available. Web hosting packages of iPage are also cheap and affordable. 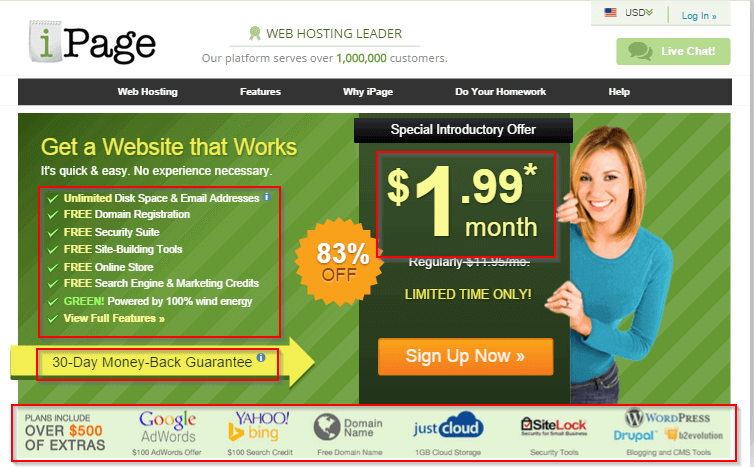 The best thing about iPage is you can get a free domain when you purchase annual hosting plan. They claim to provide a 99% server uptime for all shared hosting packages. It has the lowest and most economical prices. So, it’s a great opportunity to start your site with iPage at the lowest price. Isn’t it? Warning:I will not recommend this host to users who need Great uptime, Speed or anything like awesome support/management. This is only good if you have the very small budget. Freebies. $100 Google AdWords, Bing $100 ad credits, 1GB just Cloud Storage. Refund. iPage provides 30days money back guarantee. If you are in a hurry and want to know our top picks for Managed Hosting, here are our top 3 Best Managed WordPress Hosting available in 2017. *The pricing mentioned in the table is for starting plans. Most of them provide 2-5 sites to run on the above plans. Go through the link to get the more pricing options. WP Engine is a best-managed WordPress hosting service which is specifically designed for WordPress. The important benefits of managed hosting include blazingly fast speed, site security, daily backups and 3X Stevie Award Winner Customer service & Support. You can create robust and reliable websites with direct SFTP, Git version control, built-in CDN, enhanced security, and one-click staging and restore. They are providing blazing fast WordPress hosting with SSD-equipped servers. The site load quickly and thus provide the pleasant experience to the visitors. Moreover, the uptime remains 100% in most of the months. WP Engine does the automated monitoring and malware scanning in order to prevent the service shortage. But on the other hand, it is costly as well as provide less control because most of the aspects manage by themselves. WPEngine is trusted by brands such as National Geographic, Soundcloud, MaxCDN, and Yelp, etc. The company currently has more than 60k customers. WPengine’s plans start from $29 a month for a single WordPress site, which, if you’re just starting out, may find it a little expensive compared to shared hosting. However, if you’re serious about finding the very best managed WordPress hosting for your enterprise and are willing to pay a premium, hosting your website with WPEngine will almost certainly set you off to a flying start! You can try WPEngine risk-free for 60days and If you’re not happy, cancel and request a refund within the first 60 days to get your subscription fee back! Migration. Free Automated Migration Plugin to migrate from the old host in just a few clicks. SSL. FREE SSL certificate for better SEO. CND. Built-in CDN for Blazing Speed. Security. Includes Firewalls, Malware scanners, and intrusion detection to keep your site safe. The Getflywheel was built with designers and creatives in mind; offering managed hosting that specifically suits their needs. It’s more than just a hosting provider and instead focuses on streamlining the workflow for web designers everywhere. Some particularly nifty features include easy collaboration, billing transfers to your clients, and staging sites. Plus, you can manage all of your sites from within one attractive dashboard. The Flywheel support team is staffed with WordPress experts, too, many of whom are designers, so your biggest problems will always be entrusted in capable hands. The pricing is very reasonable and scales up to meet your needs. It starts off with a pay-per-site plan that begins at $15/month. After that, there are bulk plans for more serious developers that start at $100/month. Custom plans are also available. HACKER-FREE SECURITY. Free Site protection and malware scanning. BLAZING FAST SPEEDS. Get crazy fast load times out of the box. NIGHTLY BACKUPS. Daily backups and One-click restore. GLOBAL AVAILABILITY. Choose Own data center and achieve unbeatable page speeds around the globe. STAGING SITES. Make changes to your live site without the stress. REIMAGINED SFTP. Access SFTP easier made for every modern designer’s workflow. SITE CLONING. Take a copy of a production site and recreate it as a new site to make small changes quickly. Kinsta provides WordPress at the Speed of Google using Google Cloud infrastructure having Nginx, HHVM, PHP5-FPM, Redis, and Memcache to make your site blazing fast. Kinsta uses Google Cloud Platform’s multi-regional deployment mode. This means that you aren’t restricted to a single data center for your account – you can choose a different data center for each of your websites. Google offers three locations in multi-regional mode: US Central, Europe, and Asia-Pacific. They are strategically placed to offer the lowest latency anywhere in the world. Liquid Web has now become prevalent in managed VPS hosting, managed cloud hosting, and dedicated server hosting. They are famous for their fast and high-quality support, known as ‘Heroic Support.’ All Liquid Web hosting servers are highly tuned for speed, performance, and security making it a completely hassle-free hosting solution. It has a range of dedicated, reseller, virtual private server (VPS), and WordPress server packages with enough flexibility and muscle to power the likes of Eddie Bauer, Home Depot, National Geographic, Porsche, and Symantec. Their WordPress hosting option includes staging sites, automatic updates, and an intuitive dashboard to manage all your sites in one place. There’s a reason why top companies like Motorola, Red Bull, ESPN, Audi, and FedEx use Liquid Web. Since Liquid Web is pricey, it’s bad that the service’s plans come with a no money-back guarantee. Pressable is the 2nd most reliable WordPress hosting for businesses and developers who expect more. It’s Where WordPress Works Best. Pressable was founded in 2010 in San Antonio, Texas. This company started out as “ZippyKid,” but then it got rebranded as Pressable in 2013. The cheapest plan starts at $25 per month for up to 5 sites and 60k shared page views. Automatic updates & backups. Pressable keeps your site safe by automatically updating it and backing it up. Traffic scaling. Pressable can quickly scale up to 20x to keep your site running in case you go viral. Built-in caching. Built-in caching keeps your site running lightning fast. Staging sites. Quickly clone your live site to a staging Environment to test out changes. Support. Like most managed hosts, you will get 24/7 Premium expert support. The Website Uptime is an essential element, but it is also necessary to get a fast website speed, so You remain fast from the competitors. The best hosting Provides You everything you will need to grow. No doubt the above-listed providers pass these all points, but you may also look at our recommendation given below. As per our Experience, Our top priority is Siteground if you are just starting a blog/business and looking for a super host. Siteground is Not only fast but having a great uptime, Instant support. They use latest technologies such as SSD’s, HTTP/2, NGINX and in-house SuperCacher tool to improve website speed. If You have a premium budget for Your Online Business enterprise, Go with WPEngine. WPengine covers 5% of the online world (running on WPengine). 500K Digital Experiences are powered by WPengine and almost 2M+ attacks blocked for their customers. This is what, WPengine makes best managed WordPress hosting provider. If You have an average budget and want to manage it yourself with a little help from hosting provider and looking for perfect uptime, great speed, super caching then Go with the cloud hosting providers like Bluehost Cloud or Dreamhost cloud. You can’t go wrong with which I have not added here from the above list. They all offer robust uptime, fast page loading times, great customer support, and unbeatable low prices. Founder of Blog Tips Tricks. Illustration, UI/UX design 🎨 err. I like to give you a few more option fastcomet, Nestify, Studiopress sites. Thank you gor putting both the list of Shared and managed WordPress hosting. I would love to see the comparison table.